Michel Libouban left school at 15, and decided then that a life on the open sea was for him. Never one for classes despite good marks, he was keen to get out and do something for himself from an early age. However, after one trip on the high seas he realized his mistake and took up a station in a commercial bakery, instead. 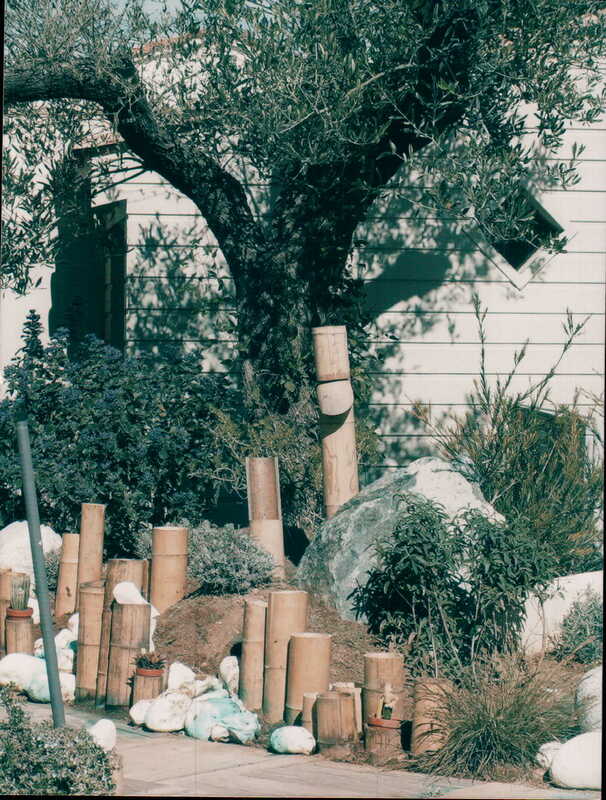 After six months or so of repetitive work on what was basically an assembly line, he then realized that his love for nature may provide an answer, and so he signed on as an apprentice ‘paysagiste” – someone qualified as a horticulturist who plies their trade as a gardener and garden designer – a very honest metier in France. Years passed, and as he qualified through a long 10-year period of study he met his wife at college, and settled down in a small village close to his parents, both doctors in the seaside town of Royan. The rest of this blog today should of course now be about his life in the fields and gardens of his countryside, and how at the age of 45 he is now at the peak of his career, caring for the plants and flowers of the rich and famous. But something is amiss, and Michel finds himself at a crossroads in his life as a result of many converging differences. It makes me wonder whether this is happening right across France, or perhaps across Europe, and perhaps overseas. But first, we need a little recap. 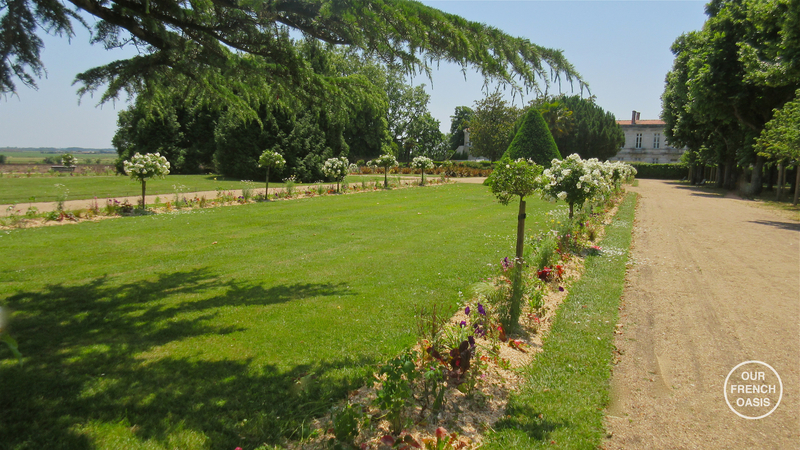 Anyone who is visiting France and loves gardening will try and include a visit to the formal gardens of Versailles. 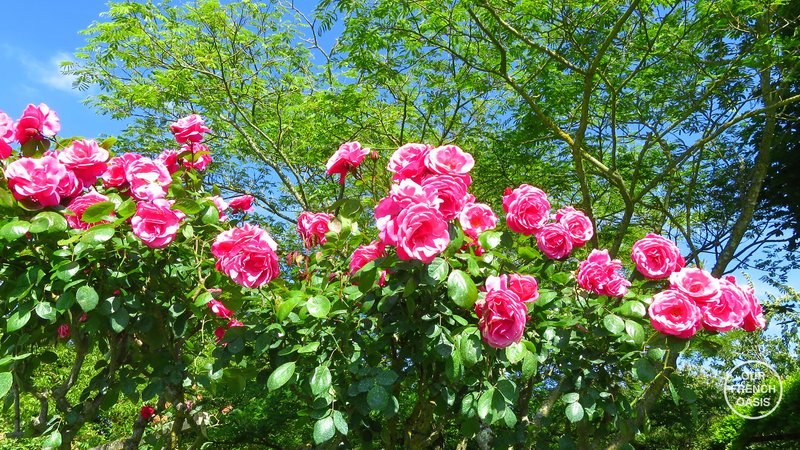 If you have never been to Versailles but have even the merest passing fancy in a rose, you should make this trip. The gardens at Versailles were designed by André Le Nôtre and are proof that French gardens reached their clearest expression in the 17th and 18th centuries under Louis XIV and Louis XV. It was at this time that gardens provided a symbol of status, and their importance to lifestyle and culture at this time cannot be overestimated. 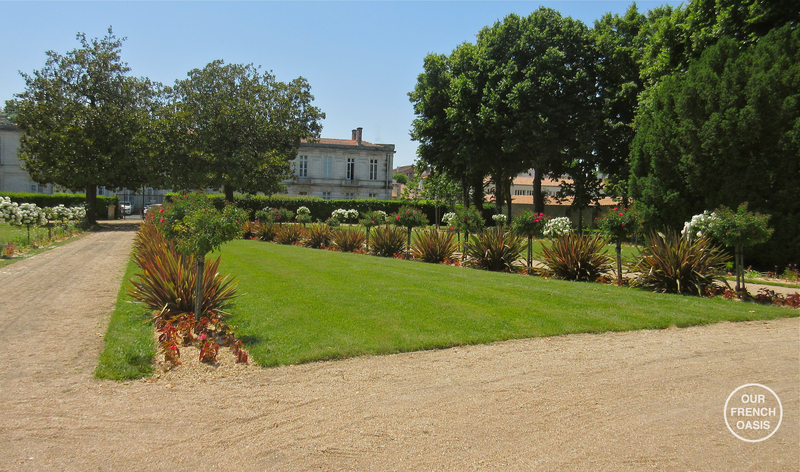 The traditional French garden tends to have a strong symmetrical axis and is very structured which is in contrast to the English garden which reached its height with the Romantic movement in the 1790’s and early 1800’s. English gardens of this era highlighted the variety of nature and its capacity to inspire the imagination; they usually included ponds or a lake, rolling lawns doted with animals, large trees and spaces of natural fantasy rather than geometric constructions of nature. Ironically by the late 18th century the trend of the English garden had spread, and famously, even Marie Antoinette had a small English garden created at Versailles, where she would dress in simple muslin garments and milk cows. Versailles is a little out of reach for a day trip and some photos for you all, but we have Rochefort, ten minutes to the north of us, which is of course a town developed by the same Louis XIV, and it too has gardens and public spaces that amply reflect the thoughts of those gardeners from the era – it’s fascinating to see the formality of layout and planting which has continued up until today. 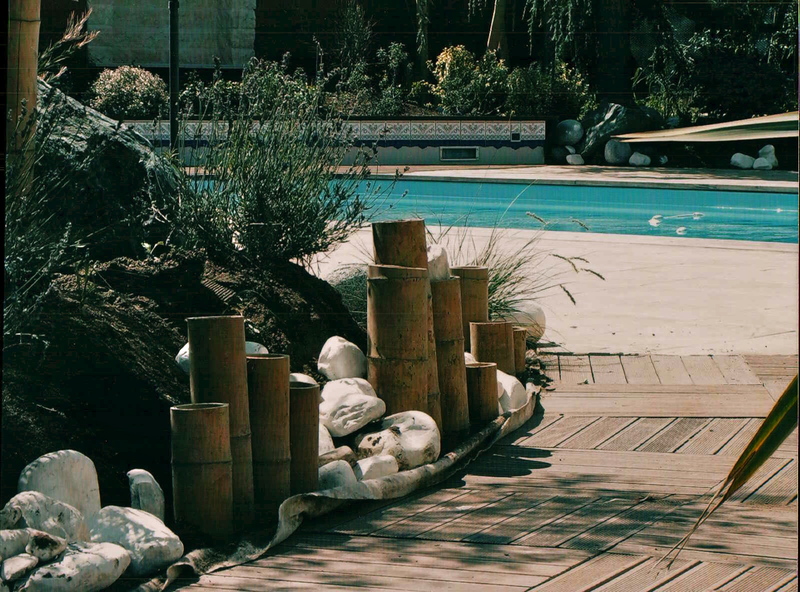 As a result of these entrenched traditions, the paysagiste is regarded as a true artisan in France and French gardens are for the most part still considered to be a symbol of pure art. 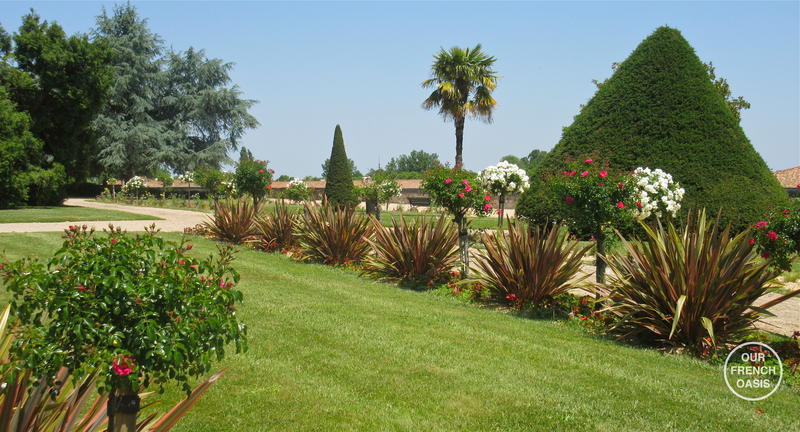 French gardeners tend to have a far more formal approach to gardening than the English or Americans, and French gardens are much copied and aspired to around the world, especially two of its main parameters -the parterre and the formal potager. It was armed with these thoughts in mind, therefore, that Roddy and I set off for a morning with Michel to discover all the secrets of the life of a French landscape gardener. 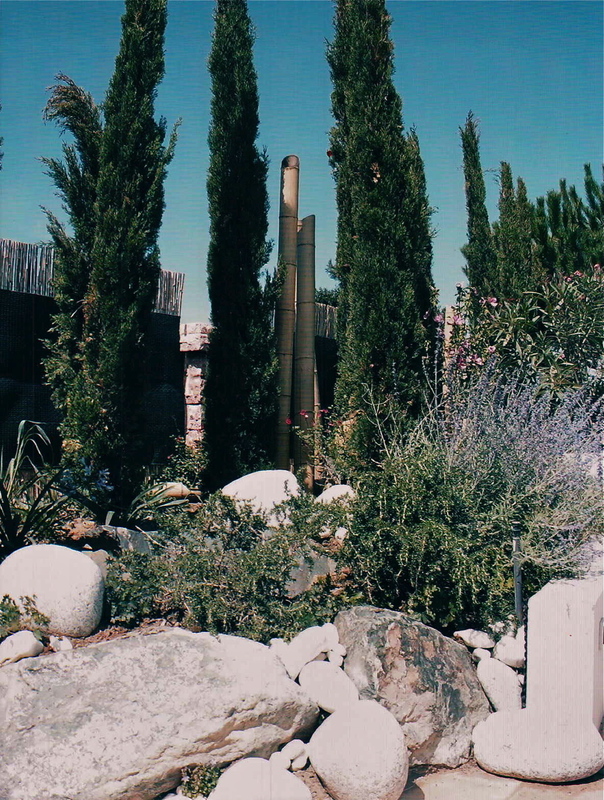 Walking into Michel’s garden to meet him it is immediately clear that this is the garden of a professional. 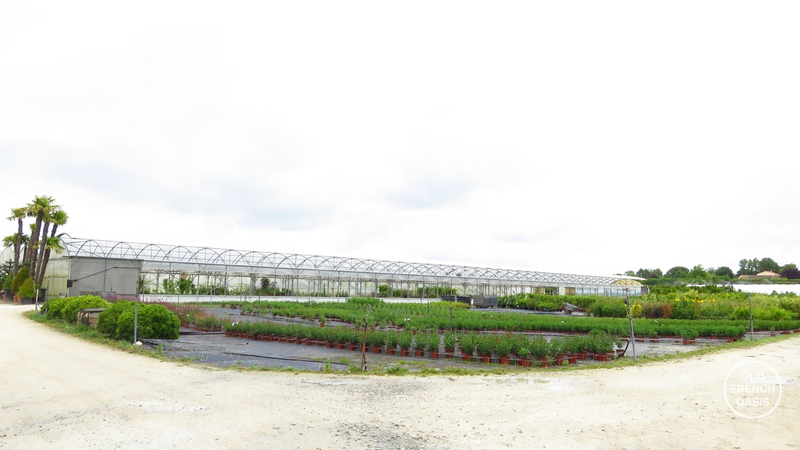 Although small and haphazard due to the constraints of space and lifestyle, everything is very clearly thought out in terms of planting and plant selection – indeed, Michel specializes in plants and their biological needs, and he tries to instill that line of thought in all he does. However, not many of his clients are of the power and ilk that Louis XIV brought to the table, so the first shock of the day came when he said that the vast majority of his local clients, ordinary people with modest means, tended to lean towards a Mediterranean style in the Charente Maritime. 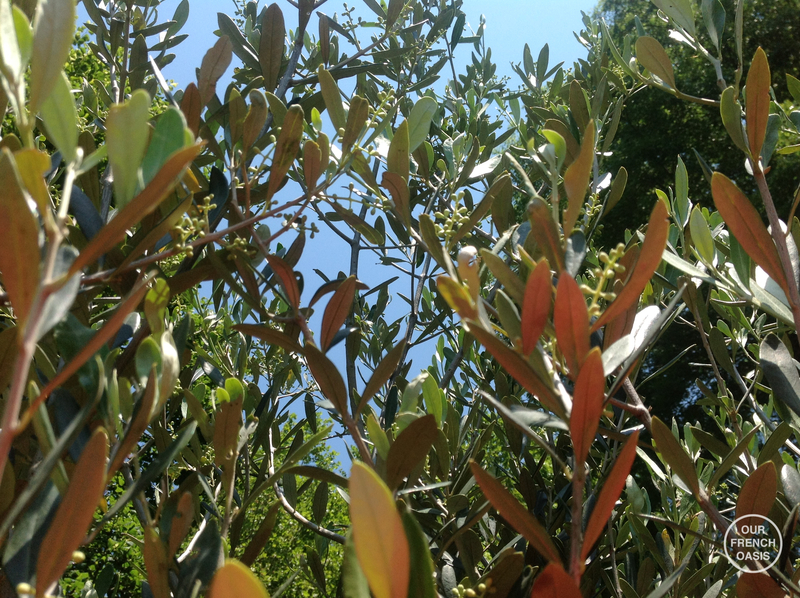 Oleander, cyprus, olive, agave, pines, succulents of all sorts, grasses and other hardy bushes and shrubs that easily adapt to both the searing heat of the local summer, and the cold, wet salty winds of the autumn and winter. 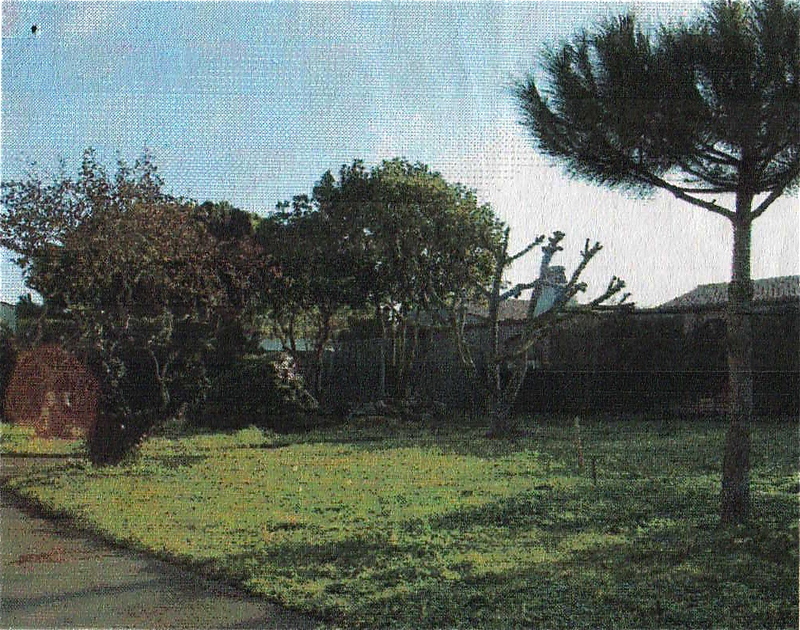 He added that even though France has that tradition of formality, life has changed, and no longer does anyone have the time or the inclination to run a team of hedge-trimmers, lawn-mowers and dedicated groundspeople that is required for a large formal garden. It’s an era of low maintenance and slim budgets, of adaptability and fortitude, and a substantial knowledge of rocks and gravel. 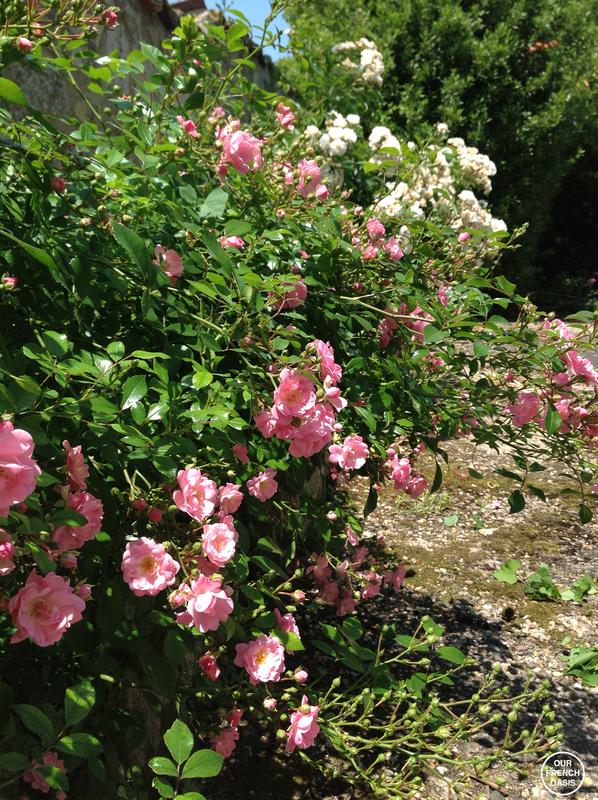 One of the main exceptions to the local style is the continued use of roses, in great profusion and in a huge variety of colours, that permeate every corner of every garden, street and hedgerow. 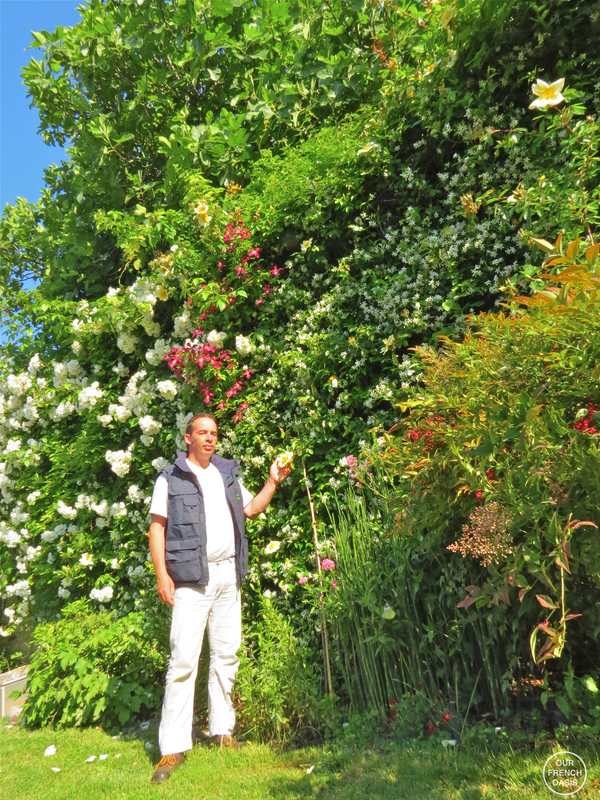 The Charente Maritime is an area where I have never seen so many roses growing both domestically and wild, and so of course, Michel has one too, a huge rambling bush that climbs to about 25’ high against the uphill wall of his neighbour’s barn. Above it towers a fig tree, which is another staple of the area’s greenery – it seems every home has a fig tree somewhere which in turn leads to at least one table at every brocante or vide-grenier selling la confiture ! As the morning progressed we moved from one location to another, from nursery to irrigation depot, and from wood-yard to tool-shop. As we rode along in Michel’s battered truck, potting-twine and weathered working-gloves around our ears, we learnt more and came to understand that despite the appearances and the business, Michel was worried. He was explaining how he has a swarm of bees in his roof and when I asked when he was going to get them removed he looked at me horrified, the truck swerving slightly across the road, and said he had no intention of removing them, and he waved airily at the countryside around us. “Where will they go ?” he asked. “There is nothing out there any more for insects ! Your garden, and my garden are probably the only natural gardens in the village – that is why we always have bees in our flowers.” He banged his fist on the wheel in emphasis. “All the fields around the village – there is no goodness in them. That is why there are no birds anymore – they have nothing to eat, no insects, nothing……” and he dwindled into silence. Michel shook his head sadly in answer. “Not many,” he replied. “Very few. And sometimes, even after a few months, they find it easier to go back to the weedkiller and the poisons.” Monsanto. He seemed to spit the word out the window. We talked more then, and it became apparent that Michel was worried for his business. A man of principal, who pays his taxes, and a man of integrity who loves nature so much he has as many weeds in his garden as we do, it seemed there was a rising tide of legal but cheap day-gardeners emerging, under-cutting him at every turn. Increasingly, his clients say they have no need of his weekly garden care, as someone else is there instead, cheaper and quicker. Cheaper because they use the clients’ own tools, and cheaper still because they have no insurance and no tax to charge. Indeed, some clients can claim back money from the government for using the lesser artisan. Quicker of course, because they are not as thorough as Michel. Coupled with all of that, is the way the new breed of un-qualified gardeners indiscriminately use chemicals and pesticides, little knowing what the real danger of them is, sometimes with no clue as to how they work or why, and ruining the goodness in every garden they visit. Michel explained that as he has got older, he has seen many people from the industry, from his early years, fall ill or even die as a result of ignorance when it came to the products they used to use, it’s now in later years that they are paying the price for this ignorance, it’s a really sad story. In half an hour we learnt of some terrible practices once used in the commercial industry, and discovered a long litany of crimes against nature that humans have committed in the past 40 years or so. Michel was concerned there was no future for him, nor for the true qualified artisan with a wheelbarrow, and perhaps none for his bees and other friends. We all became a little quiet. As the morning came to a close and we returned home, I realized that people who garden naturally really do more for the environment than many think – it is not just a question of doing “good”, it’s really a question of doing as much as one can at a time when the world is growing smaller and less friendly for all the wildlife and insects that a garden depends on. It may have taken a Frenchman in a battered truck to illuminate some of the ideas I had read and thought about, but it is a lesson I will not readily forget. 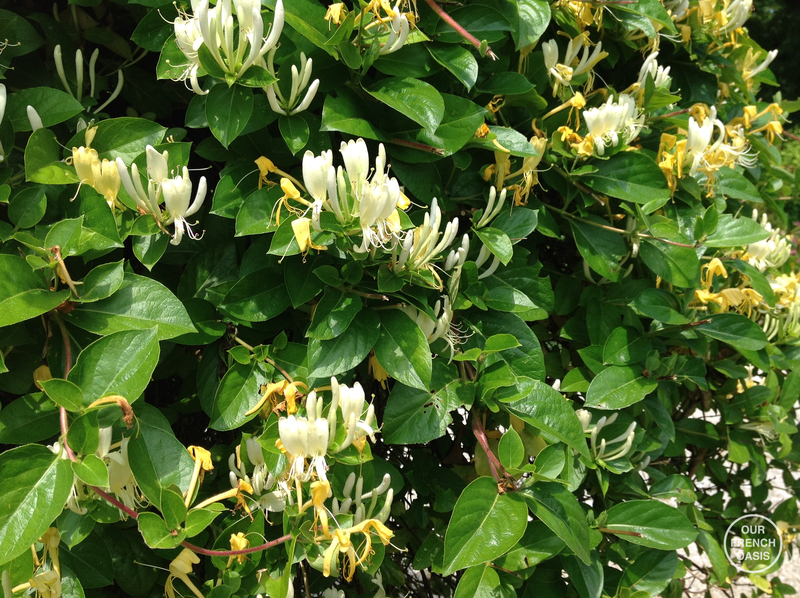 As we walked into our driveway and a cloud of small honey-bees rose from the honeysuckle hedge, I understood even more – I knew where they were going to spend the night and I knew we were doing the right thing, weeds and all. Bravo! 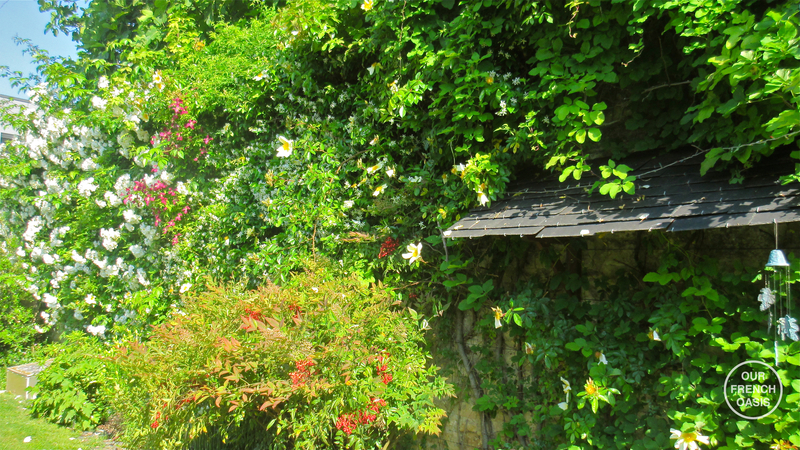 A moment for many who read your blog to pause for thought.. Often guests are surprised by the number of birds and insects they see in our relatively small garden at Maison Maurice. I guess it’s for the same reasons … . very little use of chemicals, a cornucopia of weeds or, as prefer to call them, wild flowers, and plenty of quiet, undisturbed corners for ‘creatures’ to nest and make homes in! Great blog – thanks again. Thanks Penny, if only people could see that the odd weed is a friend not always an enemy! FANTASTIC! as you can probably tell, it’s a subject I am passionate about, but one that does need to be told. I hope you enjoyed reading and have a lovely weekend. Very informative and interesting post. 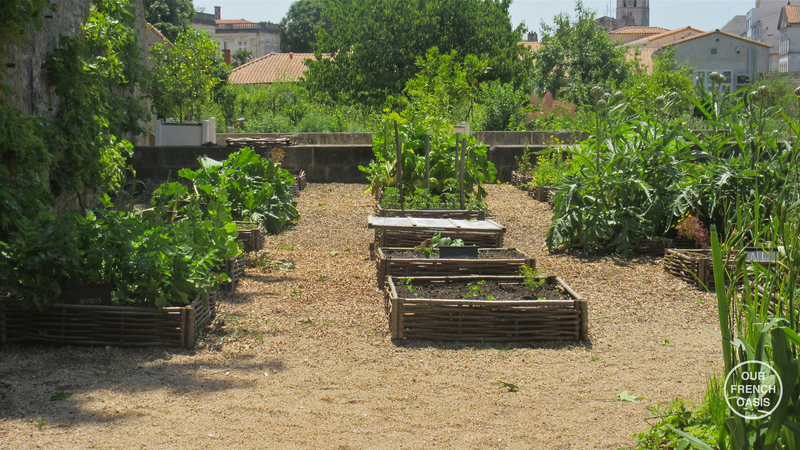 And very sad, because I believe Michel is correct about the state of gardening and not just in Europe. One only has to look at what has happened to the worldwide bee population in the past decade or more to know the truth of what unregulated pesticide use has done. While I am allergic to bees and so flee from them regularly, I still know their value in the architecture of life. It is a sad commentary on gardening that the more invested and educated people like Michel will be driven out of the industry by the quick and the cheap. And it is not just limited to gardening–the fashion industry it yet another example. Thank you for a lovely piece of writing. And yes, I worry about the bees too….. Thank you Alison, it is a subject that concerns me greatly and it is not just here in France, it is worldwide. Here, here!! Thank you for making this critically-important point and making it so well. We do all our own gardening and choose to use no pesticides and to follow our local Audubon Society’s guidelines for a bird- and insect-friendly garden (well, jungle). Unfortunately, much of our neighborhood is inhabited by people who use gardening services that do all they can to minimize cost/maximize profit. We are trying to educate those neighbors one by one as to the actual cost of those gardening services to the natural environment and to their workers and the entire community. Fortunately, more and more are listening. I agree, Mary, the fashion industry is another example of how nothing is really cheap. Spread the word whenever you can!! Good for you, sounds like you are making a huge effort. I think it is the children that we need to educate. If we can only get them to see and appreciate a butterfly, a bat and the bees then we might be in with a chance. They will then start to understand the need for sustainable gardening. If not, if they don’t see and understand, then they will grow up with the belief that manicured gardens that cost a minimal amount in both time and money to maintain are the answer, when quite clearly they are not. We are so enjoying having our ducks and chickens free ranging around the garden, they do damage the occasional plant, but it is a small price to pay for the good they do, the natural fertiliser and the insects they eat. I agree completely about educating the children…and about having “ducks and chickens free ranging around the garden.” We have considered having ducks and chickens (which are allowed by our city), but our neighborhood, adjacent to a huge forest, is also inhabited by coyotes and raccoons. The coyotes in particular have been so acclimated to being around humans that they frequent our gardens and amble down the middle of the street, night and day, and I know that we would not be able to safely allow any small farm animals we had to range free. And I have never been able to bear keeping any animal caged all the time. So, as long as we live here, I’ll have to be content with your chicken and duck stories (plus our Golden Retriever and Long-Haired Dachshund). This is your best artisan piece so far – because of its diversity in addressing French history, the environment, art, and the economy (jobs). Some of my university students did a project on beekeeping in France and how bee ecology in France is struggling, thus affecting the environment in a negative way. I’m thankful for your garden and your bees! I’m with you re chemicals in the garden. I normally have a swarm of bees arrive at my house around this time (neighbour says they do this most years) but they haven’t arrived this so far year – although I have to admit I’m rather relieved about that! Just hope they’ve found a better home. It’s good to hear that my “wild” garden (not weeds!) is the way to go and not just a sign of our laziness! This is a great thought provoking piece Susan and really rather depressing. But then so much about the environment is depressing and I fear for the world our children and more importantly grandchildren are going to live in. The bee situation is dire and so vital to rectify on every level. In our tiny way we try to help and actually have loads of bees, insects, birds and even large mammals in our urban garden. We never use any chemicals, just hard graft! It’s amazing that Roundup is still available for sale as it’s recently been revealed to be seriously evil and yet so commonly used in gardens around the world. It must have been fascinating to meet this artisan and I look forward to your next interview. Thanks for linking up. Oh dear it really wasn’t meant to be depressing! More thought provoking. Now that the Dutch have banned the use of Round up maybe France will follow soon. The trouble is old fashioned gardening is hard work and people just don’t have as much time as they used to, life has changed so much. I for one am happy to live with my weeds!!! Very interesting post! Thanks for making me stop to think about this!